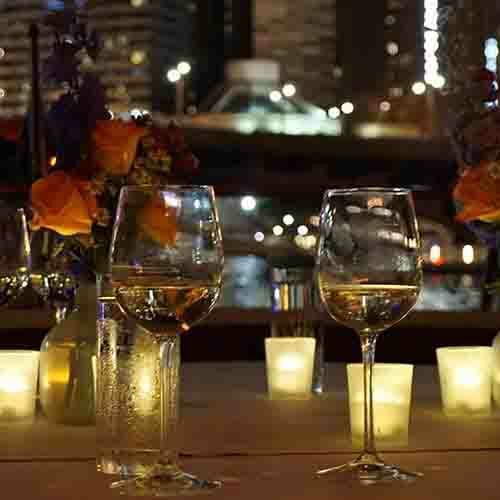 Celebrate on Lake Michigan or the Chicago River like a celebrity or as a celebrity. Adeline’s Sea Moose offers the most unique venue in Chicago to celebrate any occasion—a private luxury yacht cruising Lake Michigan with Chicago’s shoreline and skyline as a backdrop, and her attentive crew providing plenty of pampering is why she continues to be the private luxury yacht party of choice for all types of celebrations and celebrities. 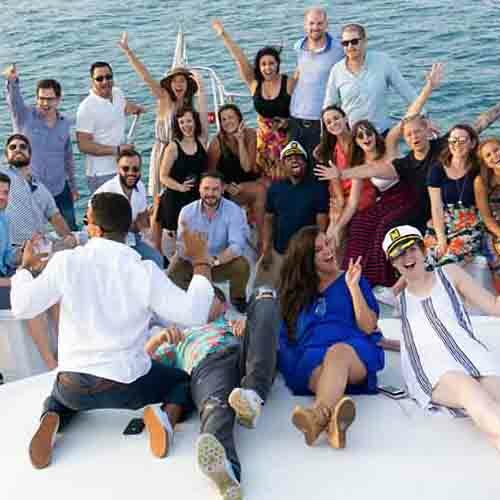 Imagine the special memories that will be made on a yacht that is exclusively yours with a discreet, professional crew attending to all the details, allowing you to enjoy your event from start to finish. 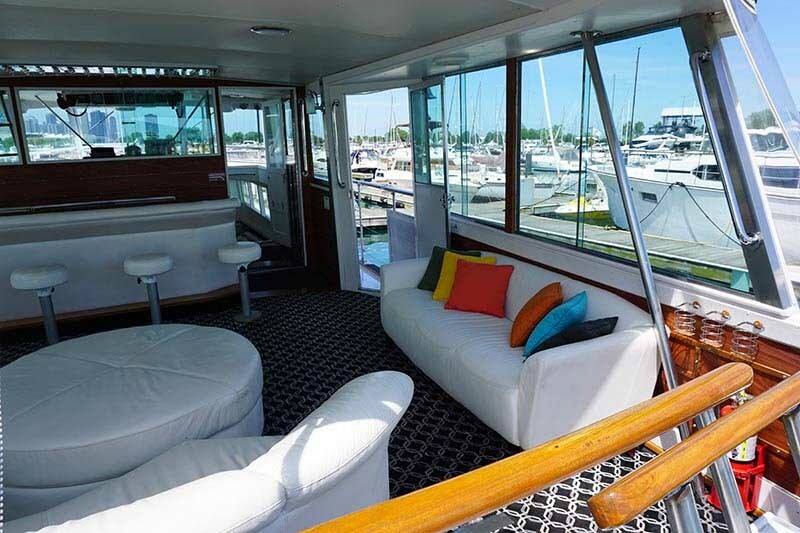 Climb aboard the ultimate yacht party venue in Chicago. We understand that every celebration is unique, and work with each client individually to make sure that they attain all of their wants and needs. Share your vision with us and we’d be honored to make it happen. Let Us Help Make Your Celebration The Very Best and Most Memorable! 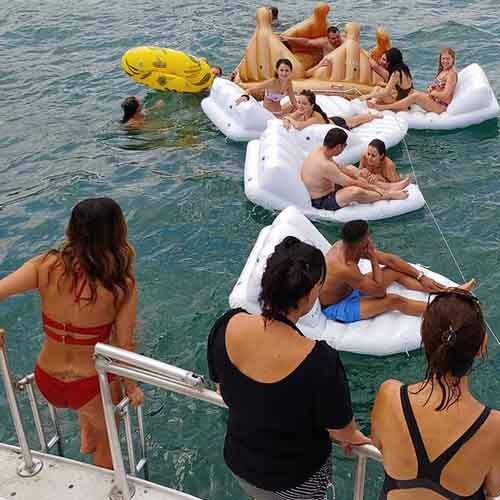 Chicago Private Yacht Rentals has had the pleasure to be of service to a variety of celebrations and as with your special occasion, our Adeline’s Sea Moose and her crew will help make the ultimate celebration on board your own private luxury crewed charter yacht. Living Life to its Fullest isn’t foolish, since we all have only one. Adeline’s Sea Moose and her crew will provide an experience that will last a lifetime. A Very Intimate setting with Loved Ones, It’s Party Time to enjoy any occasion with family and friends or Going Overboard all because living should be a celebration, we can accommodate. Whether it’s a Sweet 16, the big 5-0 or any year in between and after, a Adeline’s Sea Moose luxury birthday yacht charter is an unforgettable way to celebrate. Not only have we provided a unique private yacht rental to celebrate marriages, but we’ve helped to make all sorts of anniversaries, from personal milestones to professional achievements to business accomplishments, extra special and memorable.